Hi guys! I announced a few weeks ago that there will be a monthly feature on EoB starting in May where for a week it'll be themed. Reviews. Guest posts, so and so. I didn't get many decisions so decided for it to be fair, I'd pick the first theme and then leave the competition open till 24th April. So that's what I've done. So do tweet or email me your suggestions to pick the themed month for June! So expect to see that sometime in May! Also, any titles you can suggest will be welcomed! Seriously, check it out, it's a brilliant book! Thanks Orion!! 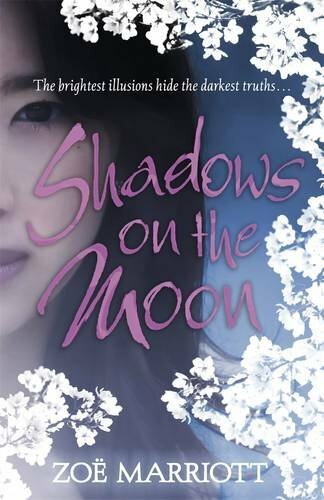 Described to me in an email from Walker books as: It is a powerful narrative filled with magic, love and revenge with a valiant female lead set in fairy tale Japan; this text turns Cinderella on its head and discloses both love’s beauty and its terror simultaneously... I just knew I had to give it a shot. Out in July! Be sure to check it out! Thanks to Walker Books for this! Deluxe Edition from HMV! So cool. It folds out and is in a digi pack. MY NINTENDO 3DS!!!!!!!! :D YAY!!!!! After months of waiting, having pre-ordered back in January my copy was finally delivered on release day... FRIDAY! Came with Nintendogs and Cats in 3D! Sadly I had to wait till gone freaking 7 thanks to work! But anyway, it's cool! I love it. It's proper 3D. So so cool! :D Can't wait to get some more games for it, and they've announced they're gunna be releasing films in 3D for it! :D AMAZING! So there you go! That's what I got this week through the letter box! What did you guys get?! News: Inheritance Book 4 by Christopher Paolini Announced! At long last!!! Check out the press release below!!! London (23rd March 2011) The fourth and final book in Christopher Paolini’s global bestseller Inheritance Cycle will be published this autumn. Following the number one bestselling novels Eragon, Eldest, Brisingr, the book will be called INHERITANCE. INHERITANCE will be published in the UK on Tuesday 8th November 2011, simultaneously with the US, Canada, Australia and New Zealand, priced £18.99. It will also be available in ebook and audio editions. Publication will be backed by a major marketing and publicity campaign, including cinema advertising, innovative and content-rich digital marketing activity, a book video trailer and media coverage. All Sunday Times bestsellers in the UK, Eragon, Eldest and Brisingr have been international publishing sensations. The first three books have sold over 25 million copies worldwide, including more than 4 million copies in the UK and Export markets. Eragon, Eldest and Brisingr will be reissued in paperback in the UK on 7th July with new cover designs that breathe new life into John Jude Palencar’s stunning artwork. Woo! Can't wait! Really excited to see how it all ends! 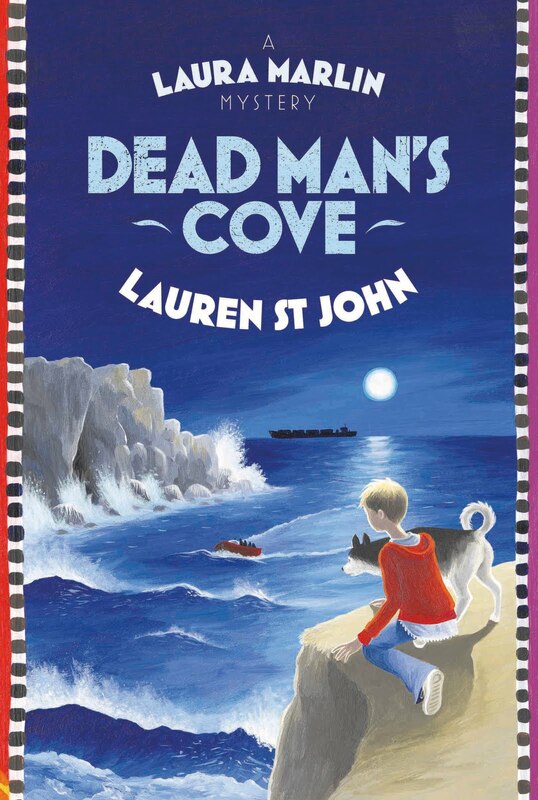 And I am loving the cover! :D Anyone else excited??!!?!!?! Okay, so it's time for a bit of a catch up on all things bookish! A few days ago I posted the trailer for Anthony Horowitz' long awaited final Alex Rider adventure, Scorpia Rising (for which I am uber massively, super amazingly, humdingingly excited for!!!). Well now Walker Books have released the second trailer and it's blooming brilliant. I love how much they're putting in to this book, the promo and everything so far, the designs, it's all so top notch. Bravo, Walker, Bravo! 11 DAYS TO GO! 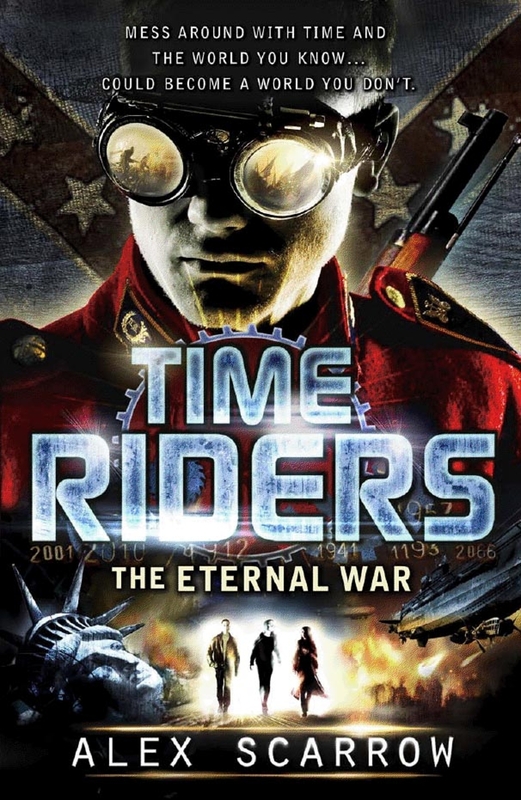 Now, towards the start of the year, I brought Time Riders by Alex Scarrow. I'd been meaning to do so for a long long time but finally, I got around to it. I read it. Loved it. And have a review written in my notebook somewhere, which just needs to be taken from rough to final and will be coming soon. Looking forward to reading the second book, Day of the Predator and Book 3 released earlier this year, The Doomsday Code. But now Alex has announced the title and cover for Book Four! 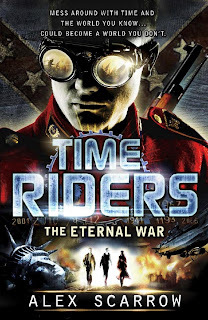 Out on 4th August, The Eternal War looks set to take on the American civil war. Check out the awesome cover below! I for one am looking forward to it! And finally, something else exciting coming in in the next few months! 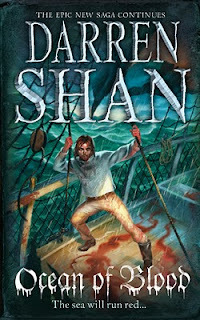 The second book in Darren Shan's The Saga of Larten Crepsley! 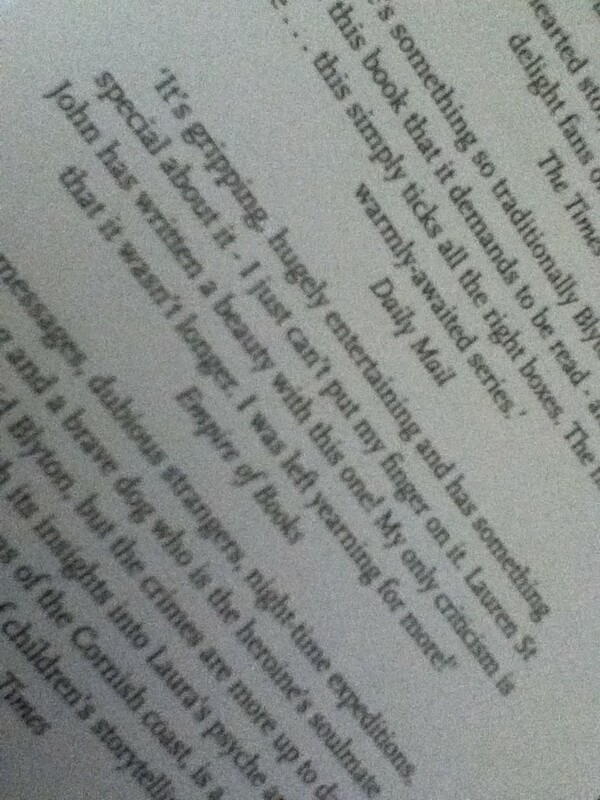 I loved Birth of a Killer when it came out last year and have been looking forward to this for ages! 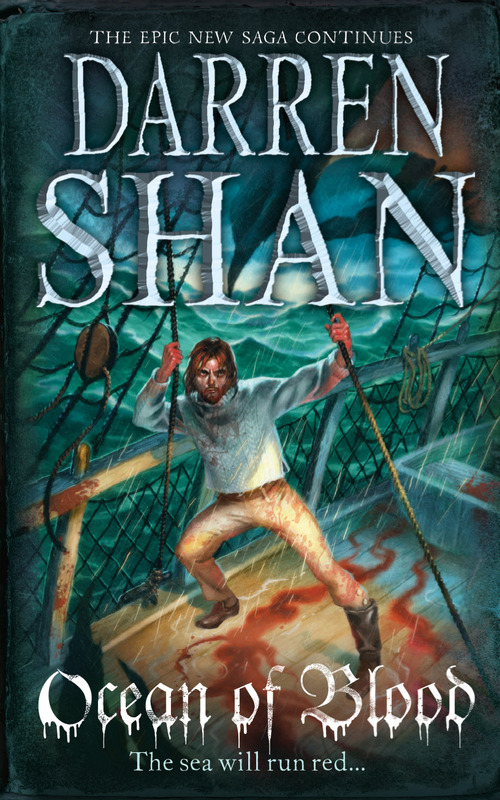 Ocean of Blood is out in May and below is the brilliant cover! Darren always has such brilliant covers! 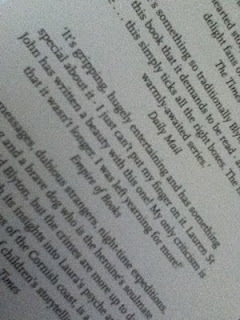 Bravo Harper Collins! Hey everyone. Happy Sunday! Hope everyones had a good few weeks since my last In My Postbox post! I am in the process of writing reviews, getting them ready and stuff to post so hopefully that will be coming soon. Also, there's just 1 week left to send me your suggestions for the first themed week, coming in May! Tweet me your suggestions @EmpireofBooks or e-mail me empire-of-books [at] live [dot] co [dot ] uk! :) Anyway, here are all the books I've gotten over the last few weeks! 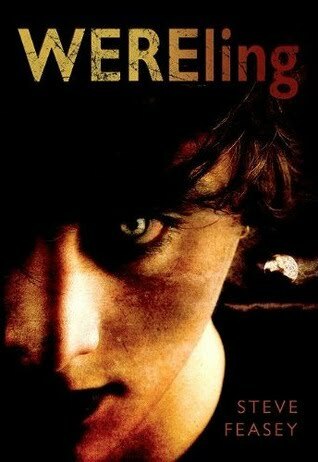 Changeling by Steve Feasey was re-branded Wereling for the US, so for a starteRs I already prefer the UK edition because the title just fits so so well! I think it's a given which one is the winner this time. The colouring. The overall image. The effects on the cover. The feeling it evokes. The UK just has to win. The US cover lacks something. It's dark and brooding, which fits the feel of the book, but it just doesn't give that urge to read which the UK one gave me! So there we go, Steve should be very proud of his UK team for creating such beautiful work. If you like me are eagerly counting down the days till the release of Scoripa Rising, the ninth and final Alex Rider book by the legendary Anthony Horowitz, and are one of the lucky ones who haven't read it yet, (Yes, I'm looking at you The Book Zone!!!!) then here is the brand spanking new trailer to whet your appetite! Roll on 31st March! Hey guys! Sorry for the silence around here but it's all changing very soon and I am introducing something new into the mix! Every month for an entire week I'll be reviewing books on one particular theme! It could be anything. Death, friendship, sexuality... Anything so long as it's YA! And this is where you come in! I want you guys to tweet me your best suggestions and the one I pick will win a prize! Oh yes! Prizes are still to be decided and I haven't finalised all the details but wanted to get kickstarted. First week will be in May and I need to get ahead in order to get and read the books in time!